A London mayoral candidate has made a formal complaint after council bungling meant many voters were turned away from the ballot box. Names were missing from polling lists across Barnet and residents attempting to cast their vote were stopped. The council has apologised and said updated registers should be in place at stations by 10am. 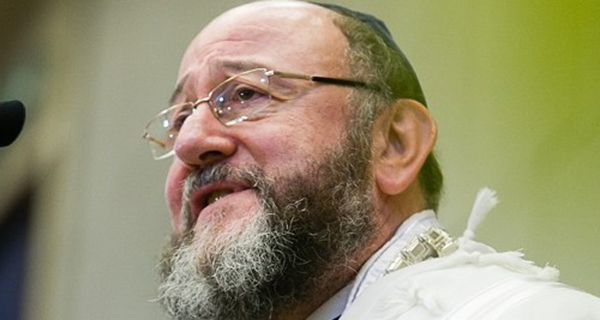 The Chief Rabbi and his wife were among those to be turned away from their polling station. 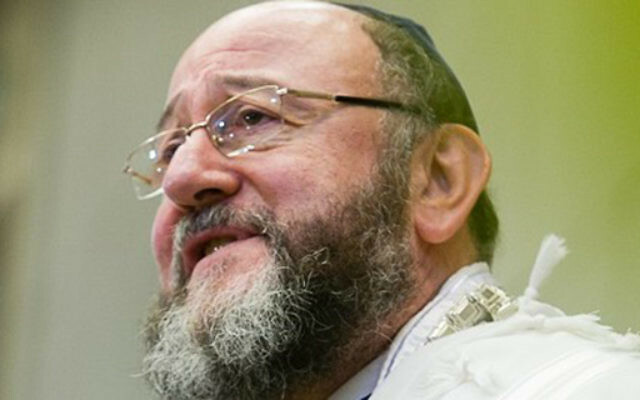 Ephraim Mirvis is said to be “disappointed” as he will be unable to vote later because he is flying to Amsterdam for a visit to the Jewish Community Centre. Journalist Jennifer Lipman, who attempted to vote at Hoop Lane polling station, said the problem was “disastrous”. “We had our ballot papers and they checked their lists, but we were not on there,” she said. “They advised us to call the helpline but had no further information. “It’s incredibly frustrating because even if they sort the problem, there will be plenty of people who are unable to vote later in the day, not to mention the likelihood of large queues building up. A Barnet Council spokesman: “We are aware of problems with our electoral registration lists this morning at polling stations in Barnet which have meant that a number of people who had not brought their polling card with them were unable to vote. “We are working to resolve this issue and the updated registers have been sent to all the polling stations, which we expect to be in place by 10am. In the meantime, people who have their polling cards with them are able to vote. Zac Goldsmith’s team appealed to voters turned away from polling stations to return later. A spokesman for the Tory mayoral candidate said: “There has clearly been a major problem across the whole of the borough of Barnet that has resulted in properly registered voters being turned away. “As we speak, the problem has not yet been rectified although we understand that the local Returning Officer is belatedly reprinting registers and it remains to be seen what the effect of this will be upon the three ballots taking place there. A problem was noticed almost straight away at Essex Park polling station in West Finchley. Neither of the first two voters’ names were on the list there when they arrived as the polls opened at 7am, and it took between 20 and 30 minutes for staff to reach someone at the electoral office as phone lines were said to be jammed. While some people had polling cards with them and others returned home to get them, around five people said they would be unable to come back and cast their vote later, leaving them “very annoyed”, one staff member said. The correct polling lists reached the station shortly before 9am, staff said.